Hyatt Regency Maui Resort and Spa turns pink with fundraising beginning on National Pink Day on June 23. Maui Paddle for a Cure is a fun, non-competitive event in support of Susan G. Komen Hawaii, which will be held on Oct. 13 during Breast Cancer Awareness Month, and takes stand up, kayak and canoe paddlers along the beautiful shoreline of Ka’anapali Beach. New this year, the resort launches the “Cabanas for a Cure” program, available through Oct. 31. It will feature a Pink Ocean Hale(Hawaiian for House) package complete with an oceanfront cabana and tropical cocktails, with a portion of the proceeds benefiting Susan G. Komen Hawaii. Additional promotions including pink merchandise, food and beverage and spa treatments will also return on National Pink Day. In celebration of National Pink Day, the following offers will kick off on June 23. June 23–Oct. 31: Hyatt Regency Maui Resort & Spa will unveil a new Pink Ocean Hale package featuring two pink Ocean Hales as part of its new “Cabanas for a Cure” program. Two oceanside cabanas have been thoughtfully designed with tropical pink elements with each featuring two cushioned chaise lounges under a thatched roof, two additional lounge chairs for sunbathing, an ice water dispenser and breathtaking ocean views. The Pink Ocean Hale package includes two complimentary cocktails (a choice between Strawberry Daiquiris or house Mai Tais). A portion of the proceeds generated from Cabanas for a Cure will benefit Susan G. Komen Hawaii. The Pink Ocean Hale package costs $285 plus tax and can be booked through the resort operator at 808.661.1234. June 23–June 30: Throughout the week following National Pink Day, a portion of the proceeds from the resort’s restaurants and the spa will be donated to Susan G. Komen Hawaii. Japengo, the resort’s award-winning restaurant, will be offering a Pink Sushi Roll, Lavender Seasoned Grilled Seafood and Chocolate Decadence Cake. Kamaha’o, a Marilyn Monroe Spa will be pampering guests with pink manicures. Located inside the resort and offering views of the resort’s beautiful Oriental Gardens, Son’z Steakhouse will offer a Black and Blue Ahi appetizer. Presented in partnership with The Butterfly Effect and Maui Jim, this year’s Maui Paddle for a Cure will take place starting at Ka’anapali Beach in front of Hyatt Regency Maui on Oct. 13. Resort guests and members of the Maui community 18 years and older are invited to an open paddle by stand up paddle board, kayak or canoe, all to benefit this important cause. Anuhea Jenkins will return to headline the Maui Paddle for a Cure after party at Sunset Terrace at Hyatt Regency Maui! To date, the event has raised more than $115,000 for Susan G. Komen Hawaii, making it the largest fundraiser for the organization’s Hawaii Affiliate. Susan G. Komen Hawaii’s mission is to support and promote culturally sensitive breast cancer education, awareness, prevention and treatment programs in the Hawaiian Islands. Follow the event on social media with the hashtag #HyattPinkPaddle. To join the cause and register or donate, visit the Maui Paddle for a Cure website:www.crowdrise.com/MauiPaddle18. 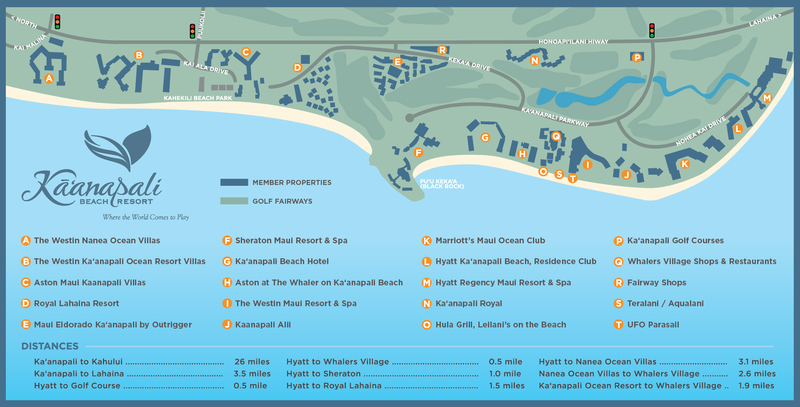 For more information regarding Hyatt Regency Maui Resort and Spa, please contact the resort by phone at 808.661.1234, or visit the resort website:www.maui.regency.hyatt.com.